Firstly a Happy New Year and a big thank you to all of you reading this. When I started my blog on reviewsrevues back in January 2015 I certainly did not think I would be here four years later. My original intention was to pool together the reviews I was doing for various sites and publications into one place and to date there have been 570 posts of which 116 appeared in 2018. I’m delighted to report that my number of visitors and viewings have continued to improve. This year there has been a rise of 3000 visitors and viewings so thank you very much for this. It is what keeps me going. An aspect which always surprises me is the end of year statistics for the most viewed posts. It’s never what I think it’s going to look like and there have been a good few posts which have been hanging around in the Top 10 since 2016 (2015 in one case) but it’s always fascinating to see what you have been reading this year (even if I didn’t post it this year) so here is a run-down of the Top 10 posts with clickable links to the original, just in case you missed it first time round. 9. Let’s Groove – The Best Of Earth Wind & Fire– Continues to be the most read of my 100 Essential CD reviews so far. I originally posted this back in October 2015 and even though the counter goes back to zero each January it continues to make the list. It just shows how much love there is for this group and how many of us hanker to live in our own “Boogie Wonderland”! 7. Dynasty – This Netflix reboot of the trashy but compulsive classic US series I discovered back in October 2017. I haven’t yet caught up with all the episodes but I’m still continuing to watch it and I think it gets better and better as it progresses. The titans of the original tend to have more of a back seat, the most glorious characters here are Fallon Carrington, played to perfection by Elizabeth Gillies and the gender-swapped Sammy-Jo (recast here as a male character and realising early potential played by Rafael De La Fuente). 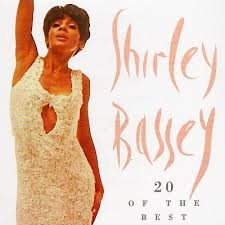 The producers did not follow up on my casting suggestions (Catherine Zeta-Jones as Alexis) and instead plumped for ex Knotts Landing and Desperate Housewives stalwart Nicollette Sheridan but I haven’t given up hope for Rupaul to follow in Diahann Carroll’s Jimmy Choos to play Dominique! 6.Make! Craft Britain – This was a BBC4 one off programme aired in June 2016 but a very watchable short series followed this year. There’s something very compulsive about watching people learn and carry out a new craft. 5. The Diary Of Two Nobodies – Giles Wood & Mary Killen – The most read of my book reviews this year comes from this title I read last January from two of the stars of Channel 4’s “Gogglebox”. Unlike most TV tie-ins this is a charming little book which tells us much about these two likeable characters. 4. Jamestown – Beginning in May 2017 and now on its second series with a third in the pipeline. I think I’ve confessed this before and I’ll do so again. I only ever watched the first episode of this so anyone looking for plot spoilers or real insight about this Sky Atlantic show will do better looking elsewhere! But I’m very pleased it has attracted so much attention- perhaps I should have stuck with it for a bit longer. 3. The Level – This old juggernaut continues to rumble on. It has been continually in the Top 3 since pretty soon after the post was originally published in October 2016. It was a six part Brighton set crime series shown by ITV. I enjoyed it and it seems there is still continual interest in finding out about it. 2. Atlantic Ballroom – Waldeck– The chance to review this album came out of the blue from Waldeck’s record label. I wasn’t expecting a huge deal but I said I’d listen to it with the possibility of reviewing it on here and yet its brand of Austrian Electro Swing really won me over and had me reviving my somewhat neglected “Music Now” strand and giving Waldeck a five star review. There has certainly been very healthy traffic going on to this review since its appearance in November 2018 and in under a couple of months this has become my second biggest review on the site. I think I should follow up these leads more often. 1.Last Laugh In Vegas – This five week documentary series about a set of old troupers very familiar to the television viewers of 30+ years ago looking to relaunch their careers in Las Vegas has stormed home this year a good 600 views ahead of its nearest rivals. Although the actual premise seemed cruel, putting once-loved performers in a vulnerable position there was a heart to this programme even if it did run out of steam by the end. In my next post I’m intending to look ahead to what should be coming up in 2019 book-wise and also scouting around the blogosphere to see what some of the other bloggers have really enjoyed in 2018 before we knuckle down to the real reviewing business in 2019! Christmas and New Year plays odd tricks with you. First day back at work yesterday and on journey home it seemed as if the festive season was ages ago. I was surprised to still see the twinkling lights from the bus and even more so when I got home to see the Christmas tree and decorations all up. It only takes a couple of days of the New Year to get us all moving on……….. But before I crack on fully with 2017 I want to take just one more retrospective look at 2016. Personally it was pretty momentous. At the start of the year I was getting myself prepared for a 10th season at my guest house on the Isle of Wight. Well, since then, books have taken over. Following months of uncertainty the guest house has been sold and I have moved to a new house in the same town and have begun working with books (as well as being surrounded by them at home) working within the Isle Of Wight Library Service. The reviews, interviews and magazine assignments have kept coming and at the times of upheaval, of not knowing where I would be living, of winding the business up, of dealing with the loss of close family members reading has very much kept me sane. If insanity was threatened it was due to BT Open Reach and EE my internet providers who took forever between them to get me a phone line and internet access – but that’s all sorted now and after a few years of feeling life was on a bit of a plateau 2017 feels a very positive change of year. I’m delighted with the way reviewsrevues.com has gone from strength to strength (despite erratic postings towards the end of the year- thanks again for making this so difficult, BT). In fact compared to last year there has been an astonishing 76% rise in traffic on the site. That’s thanks to you all reading this. Let’s finish 2016 off with a countdown of your ten most read of the 158 posts I published during the year. Just click on the links to revisit the full reviews. 9. The Author Strikes Back – Chris Whitaker – The most read of the author interviews I’ve published on here this year. Chris had to put up with me interviewing him twice, once for here and once for the Nudge site. He was charming both times. 8. Tall Oaks – Chris Whitaker– Showing that the author interviews drive traffic to the original review. Chris’ crime debut was also a hit on Nudge which has led to a nomination for the Book Noir book of the year. If you enjoyed his book you can register your appreciation here. 7. The Evenings – Gerard Reve– I had quite a lot of reservations about this book which I reviewed in October but the review of this Dutch translation has attracted a lot of attention. 6. The Rovers – Sky 1 football themed comedy with Craig Cash and Sue Johnston. This was funny and attracted enough reads on here to suggest a second series is a serious proposition. 5. Giles Coren: My Failed Novel – Sky Arts one-off programme on the perils for a first-time novelist. A real eye-opener. 3. Lets Groove- The Best Of Earth Wind & Fire– I actually posted this in October 2015 but the lasting legacy of this group and the sad passing of Maurice White (one of the seemingly vast number of celebrities who were imporant to me who died in 2016) has ensured that this has had high readership figures throughout the year. 2. Scott and Bailey – ITV series. People seemed to be facing up to the disappointment of there being apparently no more by reading about it. I’ll say it again… I love Scott and Bailey. 1.The Level – ITV. My review of this appeared after the first episode at the start of October. I moved not long after and lost track of reviewsrevues for a time. I was astonished to see that views for this had gone through the roof whilst I was doing other things and it is the most read review on here by a clear mile. Over 1300 views ahead of the number 2 read. The series started promisingly but lost its way a little at times but the readers keep coming. There’s certainly a lot of interest in this series, ITV, if you are thinking of recommissioning or looking towards overseas sales. Right. that’s enough 2016. Let’s get on with 2017! I know it’s only been about six weeks since my What You’ve Been Reading 2015 but I thought I was seeing the pattern, that it was reviews of the most recently published books which attracted the most attention – however, statistics are meant to confound and that has certainly been the case here. My most read book review so far this year is this gripping French novel full of religious intrigue and based on ex Benedictine monk Benoit’s academic research. This gives it a sense of greater plausibility than many other books in the adventure novel genre. Great to see my little fund-raising initiative attracting readers. Bingo card update – I now have three squares covered – I got my third for reading Jonathan Dark Or The Evidence Of Ghosts on my Kindle – a book which when published could be one of the “dark horses” (see what I did there) of the year. My 30th ranked album on my 100 Essential CDs list has received a boost in its viewings since the sad death of EW&F’s founding member, song-writer and producer Maurice White at the beginning of February. 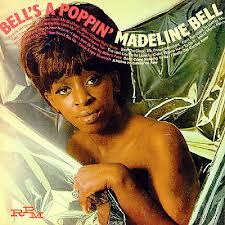 I hope my review of this album is a fitting tribute to this legendary artist. It’s been a close run thing but it is the Queen of Shops herself who has got to the top of the pile with her very likeable third series of her shop rescue show. With TV reviews, CD’s, Book reviews and Book related posts in the top 5 it does look like reviewsrevues has become the revue of reviews I was hoping for when I began the blog site. We’ll leave Mary Portas at the number 1 position until I review these statistics again- either at the end of 2016 or my 300th post (whichever comes first). Thanks once again for your support and comments over the last 200 posts. Well, here it is! My 100th Post in just a few days under six months. It was back at the end of January I first nervously clicked on the “Publish” button. So as a little celebration, I thought today would be a good time to just take a look back at the reviews that have been attracting the most attention – so today it’s links to the Top 3 most read reviews – first books, then CDs. This book is published at the end of this month by Penguin and it seems as if a lot of people are eagerly awaiting its arrival as it has become my most read blog post. My friends over at nudge-book.com were also keen on this review and so they have also put it over on their site where it is attracting considerable attention. It does seem like Paul Murray might have one of the big hits of the year. I am very pleased to see this at the top of my list because it is still the best book I have read this year and it is something of a comic masterpiece. 30th July is a big day because it is also when my second most read reviewed book gets published. This one has been slugging it out with the Paul Murray book, which has just crept ahead, so it seems another one where there is a lot of interest. 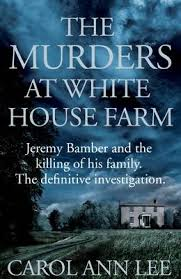 A non-fiction account of the murders of the Bamber Family. Published by Sidgwick & Jackson/Pan Macmillan. 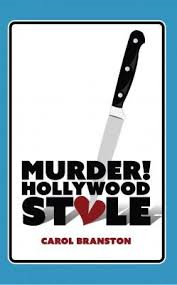 Published April 2015 by First Edition Publishing, Carol and I had quite a correspondence following the review of this book and she kindly agreed to be my first interviewed author on my Author Strikes Back thread. Hopefully, the interest in these three books has generated/will generate some good sales for the authors. 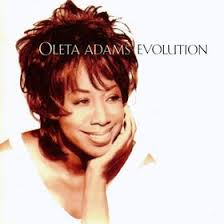 A trio of classy ladies completed by Oleta and her superb album from 1993. I love it that someone put into a search engine “Who played saxophone on the Oleta Adams version of Don’t Let Me Be Lonely?” and found the answer on my blog site. We aim to educate!! So, in case you missed any of the most read reviews I’ve put in all the links for you to take a look. I’ll review the numbers again at the end of the year. 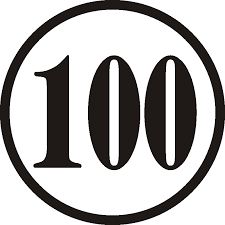 I wonder if these will still be at the top…………..
Here’s to the next 100 blog posts!